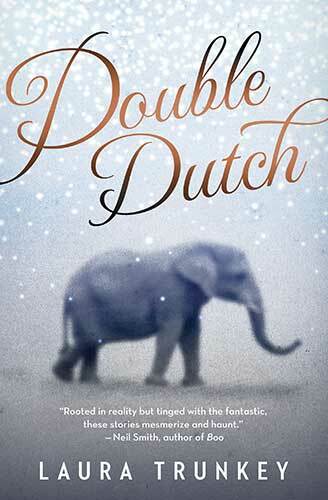 Intensely imaginative and darkly emotional, the weird and wonderful stories in Double Dutch deftly alternate between fantasy and reality, transporting readers into worlds that are at once both familiar and uncanny – where animals are more human, and people more mysterious, than they first appear. Ronald Reagan’s body double falls in love with the first lady. A single mother believes her toddler is the reincarnation of a terrorist. A man grieves for his wife after a bear takes over her body. The collection also includes incredibly moving tales grounded in painful and touching reality: a young deaf girl visits Niagara Falls before she goes blind; an elephant named Topsy is killed on Coney Island by Thomas Edison in 1903; and a woman learns the truth about her son’s disappearance while searching with her husband in the Canadian Rockies. This enchanting and, at times, heartbreaking collection of stories showcases the talent of one of the most exciting new voices in Canadian literature. To buy a copy of Double Dutch, please support your local independent bookseller.